It was a good week. I went on divisions with Elder Wiberg, which was a great experience. We taught some awesome lessons to some very prepared investigators. Divisions is always a great time to see miracles. I remember Elder Blackmon told me that his mission president in Rosario, Presidente Zanni, had told him to always look for the miracles in divisions, because he promised him that every time he did divisions he would see miracles, so Elder Blackmon always told me the same thing. So far, it's been true. There's always something that goes unusually well in divisions. We had some great contacts and some very spiritual lessons. It was great. We also had zone conference this week. Presidente Perez really focused on the rising generation, and the importance of preaching the gospel to the youth, as they are the future of the church. He showed us a powerful video from a training meeting for the quorums of the seventy. It was in Salt Lake, and the Twelve were holding a training for all the general authorities, as well as some area authorities. Elder Andersen was speaking, and he asked all in the room (all seventies) who had been baptized after the age of 25 to please stand. About 10 stood up (there were about 300 people in the room). He then asked all who were baptized between the ages of 9 and 25 to stand up. More than 100 stood up. It was incredible. 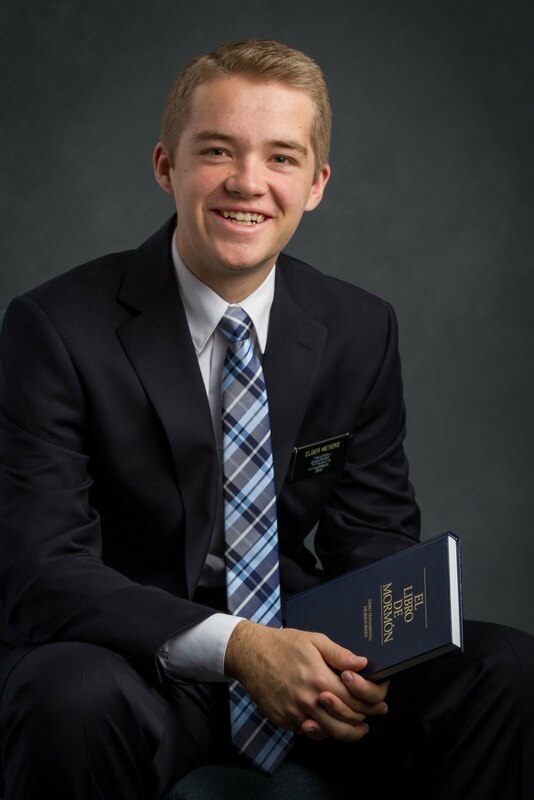 Elder Andersen went on to explain that the youth who hear the gospel, get baptized, and go on a mission go on to become the future leaders of the church. So Presidente has been focusing a lot on helping us find, teach, and baptize youth, and then help them to go on missions. With this focus on youth, we are also putting a big emphasis on technology. We obviously don't use social media or anything like that in our mission, but we are focusing on helping the youth in our wards and branches to share the gospel through technology, and to invite their friends to hear the gospel through social media. I'm really excited to get working with this, as I can see the Lord's hand really hastening His work through all kinds of mediums and methods. This is His work. I would encourage you all to find a way to share the gospel through technology. Share a video from a conference talk, post your favorite scripture, or even better, send a message to a friend who is struggling or not a member, and invite them to hear the missionaries, and to experience the joy that you have found from living the gospel. I promise that as you do that, you find a greater joy in your own life as you share with others the "good news" of the gospel of Jesus Christ. As Easter begins to approach in the coming month, as well as general conference, I would also invite you all to begin to ponder on your personal relationship with your Savior, and what you can do to strengthen that relationship. He is your Savior and mine, your Redeemer and mine. He is Jesus Christ. I know that He lives and loves us, and that He wants us to come to Him. I love you all! Invite someone to hear the gospel this week!